STOP!! If you are the home inspector you cannot complete claim forms for your customers. Please have the customer fill the claim form out online under their own email address or complete and submit the printable claim form! Home inspectors are often the first to discover vermiculite in a home and are in a unique position to help ensure that all parties are aware of the potential hazards of vermiculite and the availability of the Trust to help fund an abatement. Vermiculite is “trending” nationwide and the Trust seeks to ensure that not only are home inspectors aware of the issues surrounding vermiculite, but that they help spread the word that the Trust can potentially reimburse homeowners a substantial percentage of their vermiculite abatement cost. EPA Asbestos Web Page and Asbestos in Your Home publication. On occasion, the Trust has a need to confirm or clarify the status of vermiculite abatement in a claimant's home and/or characterize the appearance of the attic. On such occasions, the Trust plans to retain a home inspector to perform a limited inspection. The Trust intends to identify interested home inspectors utilizing the ASHI and InterNACHI membership roles. The inspection will typically consist of visually verifying the presence, or absence, of vermiculite in the attic; taking pictures and filling out a short form/checklist; and emailing the findings to the Trust. The fee will be based on the inspector's normal rate, not to exceed $200. Unusual or special circumstances that justify a higher rate, e.g., lengthy travel time, can be discussed in advance. The fee will be paid upon receipt of an invoice and report from the home inspector. The specifics of what the Trust seeks to confirm or clarify will be discussed with the home inspector in advance. 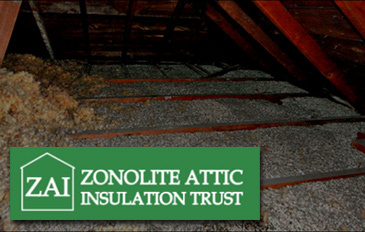 On _____________________________, I performed a limited inspection of the home at ________________________________, at the request of the Zonolite Attic Insulation Trust.